Home › Popular Culture › Dan Gheesling: Judas, Jesus, . . . or Jacob? 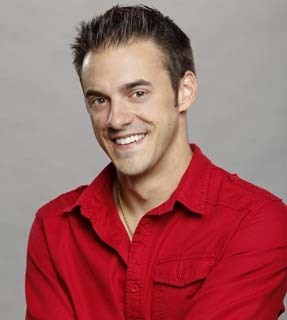 Dan Gheesling. To some, he will always be Judas. Others recount his miracles as if he were Jesus. But of all the characters in the Bible—Dan Gheesling’s favorite book—he most resembles Jacob. You may be wondering, “Who in the world is Dan Gheesling?” Let me explain. In Big Brother, up to sixteen players, called “houseguests,” are locked into a specially built house for up to three months, cut off from all contact with the outside world, their every move and every word recorded twenty-four hours a day by dozens of cameras and microphones. The houseguests take part in competitions for power and privileges. And each week, one player is evicted by a vote of fellow houseguests until in the end only two remain in the house. A jury composed of the last seven houseguests to be evicted then votes on which of the final two players will win the game and receive its half million dollar grand prize. The runner up receives a fifty thousand dollar second prize. In Big Brother’s tenth season in 2008, Dan Gheesling combined a well-thought-out strategy with a skillful social game and a solid performance in critical late-season competitions to win the grand prize. He was so popular in that season that he became the only player ever to win Big Brother by a unanimous vote of the jury. Dan returned to Big Brother’s fourteenth season in 2012. As one of four returning players, and one of two returning winners, he soon had a big target on his back for early eviction by fellow players. The new players saw these experienced players as a major threat to beat them for the win. Yet Dan survived as other players—experienced and new—were evicted one after another. In fact, he made it all the way to the final two, becoming the only Big Brother player ever to achieve both first and second place, and securing his place in the Big Brother record books. How did Dan Gheesling manage to outlast all but one other player despite being seen as one of the most dangerous players in the game? He did it through sheer force of will . . . and a powerful strategy of doing anything necessary to keep himself in the game—even if it meant lying to his fellow houseguests’ faces and then stabbing them in the back. Now, lying is no more against the rules of Big Brother than bluffing is in poker or knocking a guy over is in football. (Thanks to Dan’s wife Chelsea Gheesling for the football analogy. You can watch the interview here.) Players lie to fellow players. It’s a regular part of the game’s strategy. Dan Gheesling, however, took it to a whole new level. In one of the most exciting and explosive moves in the history of the game, when Dan was facing almost certain eviction, he carefully plotted and flawlessly staged his own “Big Brother funeral.” In the ensuing confusion and uproar, he managed to convince his greatest nemesis in the game, who had been leading the charge to evict him, to pull the strings that saved him. Oh, and in the process, one of Dan’s biggest competitors was evicted instead. All this drama led to a furious debate about Dan Gheesling. Yes, he is a consummate strategist. But his strategy included lying, making false promises, backstabbing, and playing with the emotions of his fellow houseguests. Some said, “It’s all part of the game, and Dan played a brilliant strategic game.” Others condemned the sheer magnitude of his deceptive tactics. Judas, of course, was the disciple who betrayed Jesus—and later committed suicide in remorse for his actions. (See Matthew 26:14-16, 47-50; 27:3-10). So was Dan a Judas? Is Dan Satan? Come on, people! It’s a game! Now let’s turn to a more serious criticism. One of the tactics that was most upsetting to his fellow players, and to many fans and critics, was that Dan injected religion into his gameplay. For example, in the aftermath of his famous or infamous Big Brother funeral, he swore on the Bible that some statements he was making were true. Technically, those particular statements were true. But since he made many other statements at various times—including later in the same conversation—that turned out to be false, it left people with a bitter aftertaste. This was especially so since they knew that Dan is a teacher and football coach at a Catholic school. He was also known to spend a great deal of time in the Big Brother house reading his Bible. People will have to make up their own minds whether Dan’s tactics of deception and subterfuge go beyond the bounds of propriety in the context of a reality game show. Dan himself was heard to remark that after Big Brother was over he’d have to go to confession. But it should also be noted that none of Dan’s actions in the Big Brother house were personal or vindictive. He did not engage in angry attacks on his competitors as so many other players have done. Did Dan violate his beloved Bible by playing Big Brother the way he did? But the Bible is not a simple book . . . and life isn’t simple, either. Okay, let’s not get into Situation Ethics and whether it’s sometimes okay to lie, steal, and kill. That ground has been pretty well covered. It’s clear enough that there are situations in which we must do things that in other situations we must not do. Instead, let’s do what the Bible does best, and look at the story of a Bible character who acts very much the way Dan Gheesling did in Big Brother. No, I’m not talking about Judas or Jesus . . . and I’m certainly not talking about Satan! Yes, I am talking about the third Patriarch of the Old Testament, who was later named Israel when he was blessed by God, and who is still revered by both Jews and Christians. Jacob’s story starts in Genesis 25 . . . and it ain’t pretty. As the story goes, Jacob’s twin brother Esau was born first. Then Jacob came out grabbing onto Esau’s heel (see Genesis 25:21-26). Whether this strange birth story is meant to be taken literally or figuratively we don’t know. But in the original (Hebrew) language, the name “Jacob” literally means “heel-grabber,” which is a Hebrew idiom meaning “deceiver” and “supplanter”—one who cunningly steals another person’s place. Jacob fully lived up to his name. In the very next story, when Esau and Jacob were young men, Jacob took advantage of Esau’s lackadaisical attitude toward life, trading the famished Esau a bowl of stew for Esau’s birthright (see Genesis 25:29-34). This meant that the then-traditional double inheritance of the firstborn, which would normally have gone to Esau, would now go to Jacob instead, despite his being the younger brother. But that bit of subterfuge pales in comparison to the trickery and deceit Jacob used later on. In a plan hatched by his mother Rebekah and executed flawlessly and with flair by Jacob, he used an elaborate ruse to con his elderly, blind father Isaac into thinking that he, Jacob, was his older brother Esau in order to trick Isaac into giving him the older brother’s blessing. This blessing was seen in that culture as a powerful, determinative factor in a person’s life, and it established Jacob as the dominant brother in the family. The whole shocking tale is told in Genesis 27:1-40. Esau hated Jacob because of what he had done, and quietly made plans to kill his twin brother after their father died. But their mother got wind of it, and arranged for Isaac to send Jacob off to relatives in a distant land until his brother’s anger subsided (see Genesis 27:41-28:5). It was as he was fleeing from his brother’s anger that Jacob had his famous encounter with God, in which he saw a stairway or ladder reaching up to heaven with angels ascending and descending upon it, and was blessed by God (see Genesis 28:10-17). Did God’s blessing change Jacob’s character? I’m sure it did. But one thing it didn’t change was his penchant for sharp dealings. Once Jacob reached his destination far from home, he engaged in yet more trickery and deception, not to mention working hard for many years, in order to become a wealthy and successful man. To be fair, Jacob got the wool pulled over his eyes a time or two also. Yet for all his lies, trickery, and deception, Jacob (who was eventually renamed Israel as part of yet another blessing by God) went on to father twelve sons who became the twelve tribes of Israel, and the ancestors of the Jewish nation (see Genesis chapters 29-33). Meanwhile, his elder brother Esau sank into obscurity in the Bible narrative. The similarity of Dan Gheesling to the Biblical character of Jacob is now fairly obvious, isn’t it? Unfortunately, those who get burned in the process tend to turn on these driven, scorched-earth players in the game of life. While Jacob did achieve the goal of having the family lineage pass through him rather than through his brother, in the process he had to flee the wrath of his brother, and he never saw his beloved mother again; she died before he finally returned to his homeland two decades later. And while Dan Gheesling’s gameplay put his competitors into the shade, and he did become one of the greatest Big Brother players of all time, the players whom he had burned denied him the ultimate triumph of winning the half million dollar grand prize a second time. And yet . . . like Jacob, years from now when people look back on the phenomenon of Big Brother, though Ian Terry will be in the statistics, the reminiscing will be about Dan Gheesling. To the extent that an ephemeral television reality game show can survive in memory, it will not be Ian’s, but Dan’s name that is spoken, just as today it is not Esau’s name, but Jacob’s that survives—especially his later, God-blessed name of Israel. Does this mean that everything Jacob did was moral, ethical, and good? Not necessarily. Was everything Dan did in the Big Brother house good? He himself admitted at the end that he was not proud of some of the things he had done. But there is a quality of character in Jacob, and in Dan Gheesling, that goes beyond black-and-white issues of honesty vs. deception, “clean” play vs. “dirty” play. What is it that a Big Brother player such as Dan Gheesling has that other, lesser players do not? What is it that Jacob had that his brother Esau did not? There is in this type of character a will, a determination, a fierce drive that holds nothing back, that throws everything into the effort to achieve a cherished goal. Lesser Bible personalities, and lesser players, let emotion or a sense of propriety or persuasive words distract them. People of stronger character easily sidetrack lesser personalities from their pursuit of the prize. What we admire about a person like Dan is that he threw everything he had into achieving his goal of winning Big Brother a second time despite the overwhelming odds against him. Everything he did, he did with focused intelligence and with all of the resources at his disposal. He held nothing back. And for that, he will go down as one of the greats of the game. The purpose of all this is not to lionize Dan Gheesling. Rather, the determination and brilliance of Dan’s gameplay, like the determination and brilliance of Jacob’s drive to become the next patriarch of his family, offers a different take on what the Bible story is all about, and what our life here on earth is all about. It also throws a different light on the question of whether Dan Gheesling violated the Bible by playing a “dirty” game of Big Brother. Those who have not actually read the Bible, or have not read it with discernment, may assume that it is all about being nice, law-abiding, honest, upright, and noble. And don’t get me wrong: those values are present in the Bible. But what’s surprising about the Bible narrative is how often those who do not conform to societal rules and expectations rise to the top. They become the dominant figures of their generation, and form the spiritual roots of the Judeo-Christian culture. In the Christian Gospels, Jesus himself is a highly complex and controversial figure who regularly flouts the rules and expectations of his culture and religion. The regularity with which flawed, non-conforming, and downright shifty characters rise to the top in the Bible, in TV reality shows, and in life is more than mere coincidence. It’s not just riveting story-telling and titillating news. It says something deeper about what God put us on earth to do. Here’s the short version: God did not put us here to be wallflowers. God gave us will, intelligence, and personalities that have sharp edges with the intention that we should use them and exercise them to the fullest. People who change the world and make life better for others are rarely quiet, self-effacing figures. They push themselves forward. They inject themselves into the world’s business. They plan and execute bold schemes that change the course of events. In the Bible, the figures who rose to the top and changed the course of religious history were not the compliant ones. Yes, leaders do need followers. But the people through whom God was able to bring new laws, new spiritual principles, and major paradigm shifts into this world were those with ego, drive, determination, and discipline. They were the ones who had a goal (even if it started out as a self-centered goal), and would not let anyone turn them aside from achieving it. Ancient Judaism developed as a monotheistic religion in a polytheistic world. It stuck out like a sore thumb. And God could not use a wallflower or a shrinking violet to establish this new idea of monotheism in a world hostile to such a rank heresy. God needed someone stubborn, “stiff-necked,” and sure of his own rightness against all comers. Jacob’s brother Esau was so lackadaisical about life that he sold his own birthright for a bowl of stew just because he was hungry at the time. No, Esau would not do. At the first sign of adversity he would certainly shrink away and turn back to the old, comfortable, accepted polytheistic ways. Jacob might be a shifty character, a deceiver, a supplanter. He might be rough around the edges. But God needed someone with Jacob’s will, determination, drive, and strategic brilliance to accomplish the great thing God had in mind: to press forward a monumental spiritual shift from polytheism to monotheism. Now, thousands of years later, many of the leading religions in the world, encompassing billions of people, have inherited the monotheism that Jacob and his clan brought to birth and stubbornly stuck to—though not without periodic backsliding—generation after generation. Did Dan Gheesling violate the Bible that he toted with him into the Big Brother house? Not if we look at the Bible from a more thoughtful, intelligent, and historical perspective. Dan was no Judas, and he was certainly no Satan. What Dan Gheesling did on a small scale in Big Brother Season 14 was a mirror of what the Biblical patriarch Jacob did on the sweeping canvas of the Bible story. He threw the full force of his will, determination, and deviously strategic mind into single-mindedly accomplishing the goal of winning the game. And though in the end the jury awarded the grand prize to Ian Terry instead, it is not Ian Terry, but Dan Gheesling who will be remembered as the exciting player who was the driving force of Big Brother 14. And it is Dan Gheesling who will be remembered as one of the greatest Big Brother players of all time. So let’s not be too hard on Dan. His gameplay may sometimes have violated the letter of the law, but it was fully in the spirit of the Bible that he lovingly carried with him into the Big Brother house. And as the apostle Paul tell us, “The letter kills, but the spirit gives life” (2 Corinthians 3:6). There are still deeper spiritual insights in the Dan-as-Jacob story. Can a strong ego really be a tool in God’s hands, lifting our lives up to a higher level? In a future article we’ll pick up where we left off, and make the big run for the spiritual touchdown. Food for thought and another point of view, however in Jacob we see a man that did not in the beginning know the ways of God, he knew him only by his acts, what he does, not why he does it. Yet as time progresses Jacob gets to know God by his ways and a name change takes place…depicting a NATURE change. Jacob/Israel now knows God has a plan and that plan is to have a man in his image. Comparing this Dan to Jacob seems to allow the manner of deception to be OK, calling good evil and evil good and to me misses out on the what really was important in the unfolding of Jacobs life. We cannot agree with such actions that encourage other to do the same. If it is OK for Dan then it is OK for me. This does not reflect the character of Christ nor the life style he lived, and he is the ultimate example for us today. Meanwhile, I would say in response that Jacob was not Jesus Christ, but a human being, like Dan Gheesling and like you and I and every other human being that walks the face of this earth. Unlike Jesus Christ, we are flawed, finite, and problematic beings. We start out focused mostly on ourselves and our own concerns. Only with time and much spiritual labor on our part, and especially on God’s part, do we grow and develop into moral, spiritual, and angelic beings. Jacob did many things, both before and after his first encounter with God, that were immoral, unethical, and wrong. But as you say, over time he grew closer to God and to God’s ways—while still, of course, continuing to be a flawed human being. Even in his final speech before Pharaoh as a very old man he shows his still persisting grumpy and curmudgeonly character! So no, the things that Dan, and Jacob, did as young men were not good or right or admirable, and certainly not an example of what we should do in our lives. And yet, the strong character and strategic intelligence they showed as young men was something God could harness, direct, and use toward better goals as he carried their lives forward toward the development of a better moral and spiritual character. Not exactly recalling all what I said but I truly thank you for your response. More good thoughts to ponder.